The epitome of traditional English style. 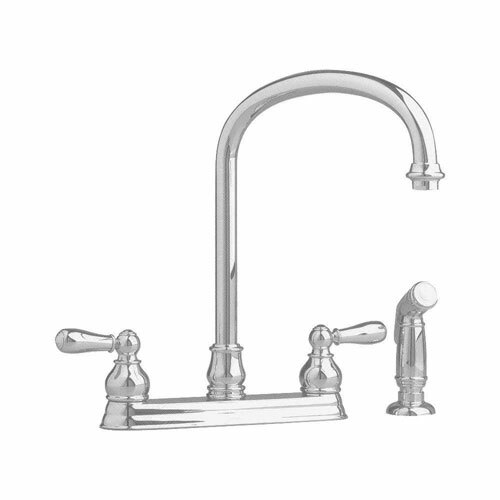 This two-handle, centerset faucet complements traditional-styled kitchens. Features include a tall gooseneck swivel spout for greater clearance and reach, a separate deck-mount spray and ADA-approved lever handles.